Marian J. Redig, age 95, a longtime resident of Alexandria, died surrounded by family on Saturday, December 1, 2018, at her home in Grand Arbor in Alexandria. Mass of Christian Burial will be held at 10:30 a.m., Saturday, December 15, 2018 at St. Mary’s Catholic Church in Alexandria with Fr. Steve Binsfeld officiating. Music will be provided by pianist, Laurie J. Youngers and cantor, Carol Hughes. A visitation will take place one hour prior to the service at 9:30, also at St. Mary’s. Inurnment will take place at St. Mary’s Catholic Cemetery in Alexandria. Marian Jean, second oldest of ten children, was born at home on January 3, 1923, to John Robert and Magdalen (Schwengle) Price in Wabasso Township, Minnesota. She grew up on a farm west of Wabasso where she and her brother walked or rode their horse the 2.5 miles to country school. Marian graduated from Wabasso High School in 1940. Following her graduation from Mankato State Teachers College, she taught grades 1-8 in Walnut Grove 1942-1943 and then in Sanborn, MN 1943-1946 in a one room school house. Besides teaching, she was also responsible for keeping the wood stove going, cleaning the schoolhouse and inspecting the outhouse for necessities. She also taught sixth grade in Renville from 1946-1947. She was united in marriage to Jack Redig of Winona, MN at St. Ann’s Catholic Church in Wabasso on June 24, 1947. Following their marriage, they lived in Hibbing for 15 years where Marian worked from home as a professional seamstress. They moved to Alexandria in 1963, to live on Lake Henry where she was a homemaker and nurtured their four children. 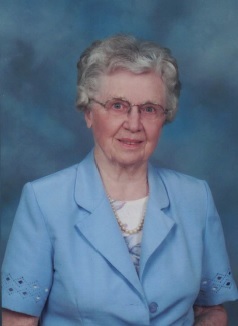 Marian taught school at St. Mary’s and later worked in the office for nearly 30 years. Following her retirement Marian continued to volunteer at St. Mary’s School mainly assisting Jeanne Nelsen in the library. She was able to live in her own home on Lake Henry until the age of 90, when she moved to Nelson Gables and subsequently to Grand Arbor where she lived her last four years under the wonderful care of the nurses and assistants at Grand Arbor. Marian enjoyed flower gardening, sewing, neighborhood bridge club, reading and walking. She especially enjoyed time spent with her children and grandchildren. She was preceded in death by her parents; husband, Jack in 2002; son-in-law, Terry Ferguson in 2012; and eight siblings. Marian is survived by her two sons, Patrick (Annie) Redig of Scandia and Michael Redig of Loveland, Colorado; two daughters, Jean Barrett of Shoreview and Anita Ferguson (Don Buesing) of Alexandria; brother, Bill (Mary) Price of West St. Paul; sister, Doris Petracek of Belview; eight grandchildren, Dan Redig, Jeff Redig, Amelia (Aaron) Goldan, Sara Ferguson, Chad (Laura) Ferguson, Benjamin (Briana) Ferguson, Michael (Rose Goren) Barrett, and Patrick (Sarah) Barrett; three great-grandchildren, Summer Ferguson, Levi Ferguson and Wyatt Goldan; along with many nieces and nephews. Urn bearers are her grandchildren. In lieu of flowers memorials preferred to St. Mary’s School or Knute Nelson Foundation.